The Olympics are a fun time that come every two years to sit down and enjoy some sports either with your family or alone. This year’s Olympics had a lot behind the scenes problems involving the location and the athletes participating in the games. 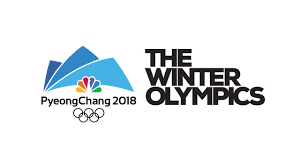 This years Olympics took place in Pyeongchang, South Korea. In recent years, the political climate between North and South Korea has been especially tense, which caused some concerns for the games around the world. This also meant that since they took place in South Korea, the North Korean athletes had to go to South Korea in order to participate. Despite their differences, the Olympics were a way to bring both of the countries together. For this reason, these Olympics were a historical event because it eased the tensions between the two warring countries as they marched down the opening ceremony together, under a unified flag. There were also many other brilliant moments during this years Olympics. In the Figure Skating Event, the U.S. women’s figure skater was one of three women to land a triple axel. The U.S. also received the most gold medals that they have ever gotten in the Winter Games. This was especially extraordinary because the majority of the gold medal winners were young teens who persevered through the rigorous competitions and made their way to the highest spot on the podium. Norway’s own efforts paid off because they got the most medals out of all the other countries with Germany in second, Canada in third, and the United States in fourth. Although there were good things that happened in the Olympics, there were also not so good things. The Russian team was banned because some athletes were taking steroids in order to better perform in their event. The Olympic community took samples to see if the allegations of high rate of steroids throughout the entirety of the qualifying athletes. At first, their samples came out clean but that seemed suspicious because only two out of the 50 Russian athletes came out positive for steroid use. The committee then decided to take another sample of the athletes and these results were largely positive. The athletes that were found guilty were banned and the rest which were allowed to compete but not under the Russian flag. Overall the olympics were a great opportunity to help out the North and South Koreans in their despite amongst themselves. Even after the Olympics were over, they went their separate ways, but at least both countries had the time to spend time with each other showcasing the Olympics to be an event that brings people together.